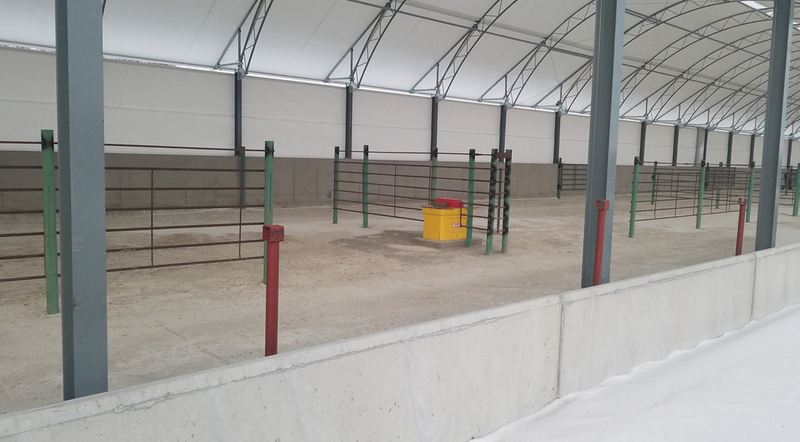 Improved ventilation while protecting livestock from the elements. Rushmore powered ventilated curtains feature patented Pivot-Arm Technology which makes opening and closing them as easy as a flip of a switch. Rushmore Buildings’ vents are shipped with most components preassembled and simple instructions to make mounting trouble-free. All our curtains feature 12.5oz woven high-density polyethylene coated fabric for superior durability and to allow natural light into buildings. Available in a wide range of sizes and ideal for a variety of applications. Rushmore vent curtains provide the flexibility and durability that allows you to get the most out of your building every day.